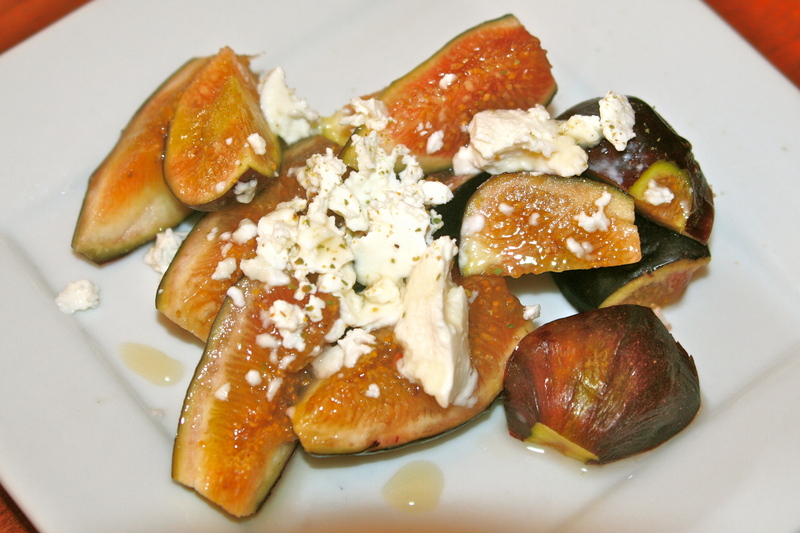 When we were in Italy a few years back, every morning we plucked figs from a tree outside of our hovel and served them wedged with nutty Parmesan Reggiano shavings. 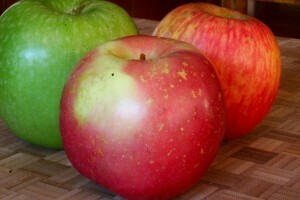 The salty fruit combo was like a morning jolt of crack. It was our breakfast and our snack food. A couple of years later, with a different group of friends, it was sliced Tuscan melon and intensely cured prosciutto. The melon there is deep in color like the flowers above – sadly not the melon. Cured meats in Italy (or Spain for that matter) taste to me like essence of ham and yet the smell of animal all at once and somehow that’s sublime (sorry vegetarian friends). Together, sweet, juicy melon and salted, fatty meats can make you weep at the table. I dare you to take a bite and not cry for mercy. Well we’re not in Italy anymore and don’t have time for two hour lunches – we have apps that need tinkering, so here’s a way to get nearly the same idea in one bowl. This version is so much easier than wrapping thin layers of prosciutto around cantaloupe spears. 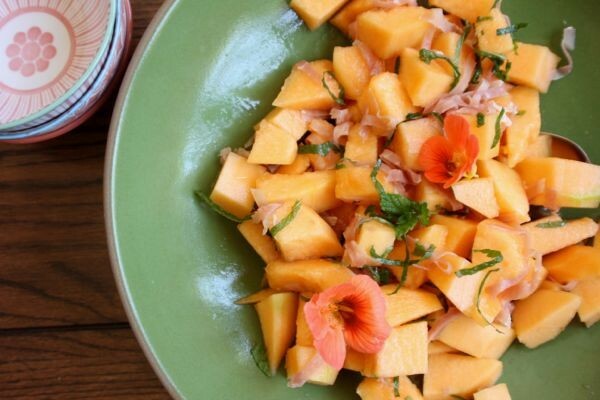 With a spritz of lime juice and a rough chop of mint, the fruit salad works for any meal. It travels, keeps, and dazzles to make it the perfect American summer salad. Cut melon into 1″ cubes. Slice prosciutto into very thin shreds, no more than 1 1/2″ long.